Gen1:6 And God said, Let there be a firmament in the midst of the waters, and let it divide the waters from the waters. 8 And God called the firmament Heaven. Exactly what the firmament is, is a matter of speculation and debate. I prefer the interpretations of astrophysist Dr. Gerard Bouw. The word implies something dense (firm). It would seem to us that objects we see could not move if they were inside something dense, but they actually could similarly to how light moves through glass in waves rather than linearly. The firmament would simply have different properties than normal matter. That could also explain the missing “dark matter” that scientists say needs to account for 90% of the universe to reconcile with observations. Many modern versions punt on the issue and use the word “expanse”, which can be stretched either interpretive direction. However, some modern versions use the word “dome” because of a misunderstanding of the nature of the dense property of the firmament. They think the word firmament (raqiya in Hebrew) is a solid dome in which the objects in space are embedded. But a dome would not work in a spherical earth. A dome would only work in a flat earth. 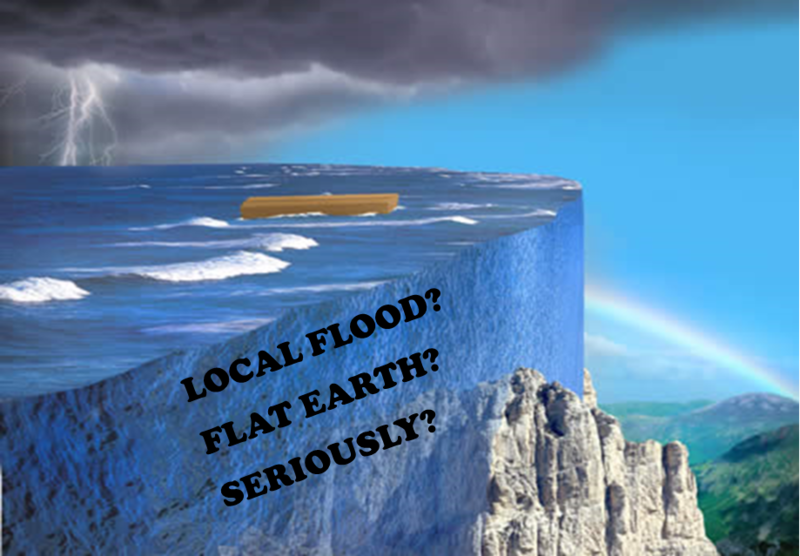 A flat earth is nigh unto impossible to reconcile with a global flood that covered the highest mountains. A flood of that distribution would go over the edges and never cover the highest mountains. 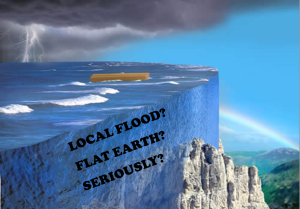 Flat earthers propose a border around the edges all around the earth, but then the flood would not go higher than those mountains and calling them something other than mountains is disingenuous. Verses like “circle OF the earth” (Is 40:22), “heavens … compass the face of the depth”, (Prov 8:27), “He hangeth the earth upon nothing” (Job 26:7), and the fact that when the Lord returns it will be day in one part of the earth, but night in another at the same time (Luke 17:34-36) mitigate strongly against a flat earth interpretation. Thus the NRSV, CEB, CEV, and GNT are all flat-earth versions.